Mail me a printed Austin, Texas Visitors Guide! 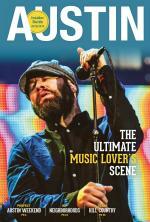 Fill out the form below for your free copy of our Austin Visitors Guide. Please allow 15 business days for shipping. Can&apos;t wait? View our online Visitors Guide or view on your iPad or iPhone. Have questions? Email vc@austintexas.org or call 866-GO-AUSTIN (462-8784).